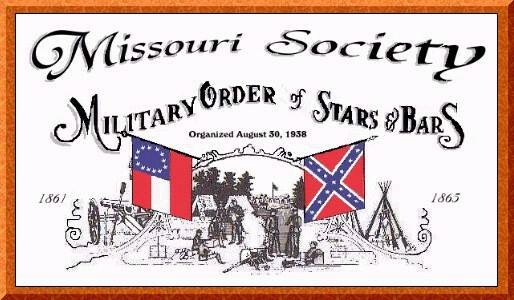 Membership in the Missouri Society, Military Order of Stars and Bars, requires enrollment and acceptance by the Headquarters Staff. If you are considering membership in the Missouri Society and are not presently a member of the Military Order of Stars and Bars, please visit this page for more information about the requirements for membership, steps to join, and other important information. If you are a member of the Military Order of Stars and Bars and would like information about participating with the Missouri Society, please visit our contact page and drop us a line.